"People want more local news, and local newsrooms are looking for more support." Local news coverage is suffering as publications covering their communities struggle to make ends meet. Part of the problem is that it’s hard to for local publishers to attract and monetize enough pageviews in a cutthroat digital news marketplace — a problem that giant platforms like Facebook have exacerbated. 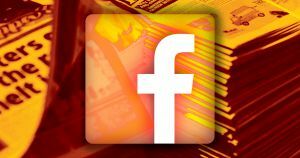 Now, Facebook is set to invest $300 million in local news projects, according to a Facebook blog post published on Tuesday. “People want more local news, and local newsrooms are looking for more support,” Campbell Brown, Facebook’s Vice President for global news partnerships, wrote in the post. Facebook says it will invest the $300 million over the course of three years, but the company’s blog post only included information on how the first $36 million will be spent. Many of the investments are set to go to organizations that place journalists in local newsrooms, such as Report for America, which is set to receive a $2 million investment that Facebook says will allow it to fund 1,000 journalists’ salaries. Other investments are going toward groups like the Pulitzer Center, which will get $5 million to fund at least a dozen investigative reporting projects at the community level. Facebook’s investment in local news is a good sign for the future of media — journalists have been mourning local news coverage for years, and revitalizing the country’s local newsrooms is an essential step for developing and protecting a functional media that can not only inform the public but serve as a watchdog against the powerful. But that doesn’t mean Facebook is suddenly a benevolent force for the media. The company has spent the last few years causing and glossing over media scandal after media scandal, whether it was failing to detect and block the many bot-driven Facebook accounts that shared propaganda in hopes of influencing political elections or Facebook’s failure to keep its platform from facilitating genocide in Myanmar. Facebook’s investments in local news stand to do a lot of good for the world, assuming that the money is a gift and not a way for Facebook to influence news coverage. But even then, better and more comprehensive news coverage is a treatment, not a cure for problems with the media landscape that often seem to originate from Facebook itself.